Last week, we discussed the state of life without parole for juvenile offenders, as Daniel Marsh was ultimately sentenced to 52 years to life in prison, but will be eligible for parole after serving just 25 years. 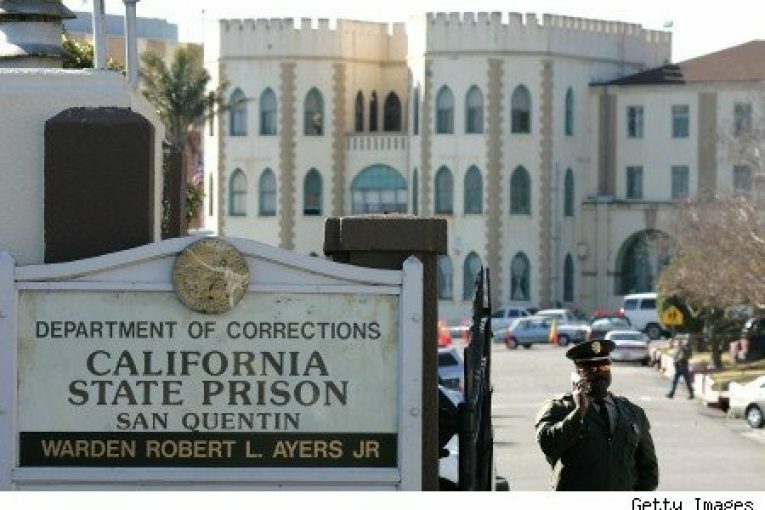 The legal status of life without parole for juveniles is an evolving field of law, as the state of California has passed statutory reforms in recent years and two years ago the US Supreme Court invalidated state laws that mandated life sentences without parole for minors convicted of certain crimes. The case involves George Toca. He was convicted in Louisiana when he was just 17 back in 1984 when he “accidentally shot and killed an accomplice during a robbery.” Mr. Toca contends that someone else killed his friend – and the Innocence Project took up his cause. The Times therefore argues, “If it’s unconstitutional now to automatically imprison children for life, surely the same constitutional conflict exists for those sentenced before the Miller decision. “The Toca case hinges on whether the Miller decision, which bans the application of state law to a class of defendants, constituted a substantive change to the law and thus applies retroactively. Conversely, if it regards Miller as only a procedural change — a shift from optional to automatic sentencing — it might only apply prospectively. So far, state and lower federal courts have been divided over which interpretation is right. Gerald Uelmen is a professor of law at Santa Clara University School of Law, and in 2008 was part of the state commission that drafted recommendations on capital punishment. This weekend, he has an op-ed appearing in the Sacramento Bee that argues that the death penalty in California remains a “hollow process.” The state of California reinstated the death penalty back in 1977. In the 37 years since, the state has sentenced more than 1,000 people to death. Only 13 have been executed. Currently, he notes that there are 749 living on California’s death row, the most in the nation, and 96 of the 1000 have died from other causes while their cases were pending. Meanwhile, “More than 100 California death sentences have been reversed due to serious constitutional errors, including innocence. “I served as the executive director of the California Commission on the Fair Administration of Justice,” he continues, noting, “The commission was created by the California Senate to investigate causes of wrongful conviction and problems with the death penalty in California. “We found that California death penalty cases take an average of 25 years to move through the constitutionally mandated post-conviction review process,” he states. More importantly, he added, “It’s something of a misnomer to even call this an ‘average’ since the vast majority of cases have not completed post-conviction review. “Our commission concluded that the primary cause of the delay is the failure to provide adequate funding to hire the attorneys and court staff needed to work on death penalty cases. A person sentenced to death today must wait five years for the first attorney to be assigned to his case. One death row inmate has waited 17 years for an attorney to be appointed for the review stage called habeas corpus, the stage where courts look at claims such as actual innocence,” he writes. He continues, “Cases are reversed for many reasons, including incompetent defense attorneys who literally slept through trial, prosecutors who hid evidence, mistakes by judges and, yes, innocence. The Death Penalty Information Center maintains what is considered the definitive list of innocent people exonerated from death row across the country. Three are from California. He writes, “Our commission did make recommendations about how we could preserve justice, protect the innocent and make the process move a little faster. These recommendations included doubling the amount of money we now spend on the death penalty, a figure we calculated as $130 million each year. These recommendations have been ignored. We saw that recently in Yolo County, where William Gardner could have faced the death penalty in the shooting death of Leslie Pinkston, but the District Attorney opted not to seek it. that is an amazing statistic – of 1000 incarcerated and sentenced to death in california – 97 of them were found to be wrongly imprisoned. that just accounts for those that have completely made it through the system. ten percent failure rate in the system that probably has the most protection built in – automatic appears, two defense counsel, ample money for investigations. what does that say for the system as a whole? it means the system has flaws. however, how to ultimately address those flaws is the tougher question. How to get those problems addressed while making sure those who are addressing them don’t have major political agendas is an even tougher nut to crack. The majority of people convicted have rap sheets of priors. I am not advocating wrongly convicting, but we also need to consider the system working to prevent the next crime by catching and imprisoning the people with a history and tendency for doing crime. I see morality as a slope where people become rooted after they are trained by their upbringing and it is exacerbated by their individual wiring/personality. I don’t think most convicted criminals are capable of re-rooting to a high enough order of morality unless they truly find Jesus or Buddha. And their challenge is again exacerbated by liberal ideas in governance and society that maintains a victim mentality. Victim mentality injected into the mind of an ex-criminal would serve as a weak link in the chain of good decision that would need to be made after release. In a utopian mindset, I would prefer that we can rehabilitate people convicted of heinous crime. But in my keep-it-real mindset I think the best we can do is lock them away for their rest of their life in this dimension. you’re talking about a known ten percent failure rate – that’s a big problem. are you willing to do what the professor suggests and double the money in order to keep the death penalty? NO, it’s my opinion the death penalty is about violence & revenge straight out of an ancient belief system of ;” do unto others”. Nothing to do with the rest of that quote ” as you would have then do unto you. ” These old heartless believes based in revenge, hatred, anger must be dumped onto the trash heap from where they originated. Started during a time when most couldn’t read, illiterate largely misguided folks listening to one insider of the then primary control class, the church. Leading with: you don’t need to think, or read we’ll do that for you. Just drink the cool aid stay in line stay stupid and work hard while giving us 10% of what you make after you’ve paid 50% in taxes working on land you don’t own. Most of us have given up that autocratic way of life and thinking, 800 yrs ago. The magna Carta gave us the right to think and act for OUR selves. To finish; the 40+ yrs of Dr Peter Breggin @www. Breggin.com has listing of books, publications & studies where his methods of viable non drug based therapy. His ” how to” treat mental issues acknowledging the real underlying causes of the mental issues, that being the drugs pushed onto the world since 1940 by the drug cartel, aka BigPharma and diet allergies. As well as the combining of once believed safe over the counter drugs that are dangerous when not done so with care & deliberate research. You may not be advocating false conviction, but in this sentence, it certainly seems that you are advocating a “pre crime” approach to incarceration. Where is the presumption of “innocent until prove guilty” of the specific crime, not that “he surely has done something some time ” approach. Below is the quick info. Also, his case was vacated, not the same as exonerated. He never did the crime so the entire matter was vacated. He did not do what they claim they got him to confess to. At the trial, 81 days after the arrest, he said he did NOT confess. He was electrocuted at the age of 14.